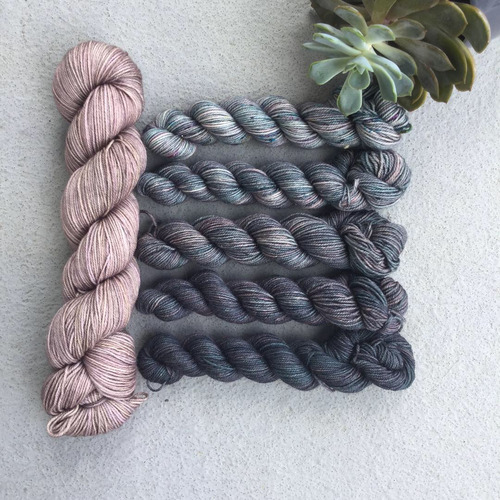 Take your knowledge of fiber dyeing a step further by dyeing your very own set of ombre/gradient colors. We will take a more in-depth dive into color theory, learning how to mix colors to create gradient color palettes. You'll make harmonious color transitions and find out how to achieve a cohesive set of colors for your next knitting project working with primary colors. We will also discuss color "correction," aka how to brighten, darken, or dull colors in the most striking way. Technique Requirements: Be familiar with color theory and have basic acid dyeing knowledge.